Published: Dec. 24, 2016 at 11:09 p.m. The fantasy season is coming to a close this weekend in most leagues. However, for those of you playing in Week 17, I offer up 10 potential waiver-wire adds to help you secure a championship or rack up more total points. Quick aside -- while I'm against having titles decided in Week 17, I'm all for keeping the fantasy season going. My League of Record (Adam Rank's term for a person's primary or most important league) does this. Our head-to-head championship finishes in Week 16, but we have awards for the total points standings as well, which allows everyone to play out Week 17 (and also keeps those with poor head-to-head records active and engaged all year). The fantasy football season is short enough as is, so why throw away one last week of fun (and emotional distress)? So consider this potential rule change my Christmas gift to you all, in addition to the waiver recommendations below. Merry Christmas and happy holidays to all, and many thanks for following along this season. 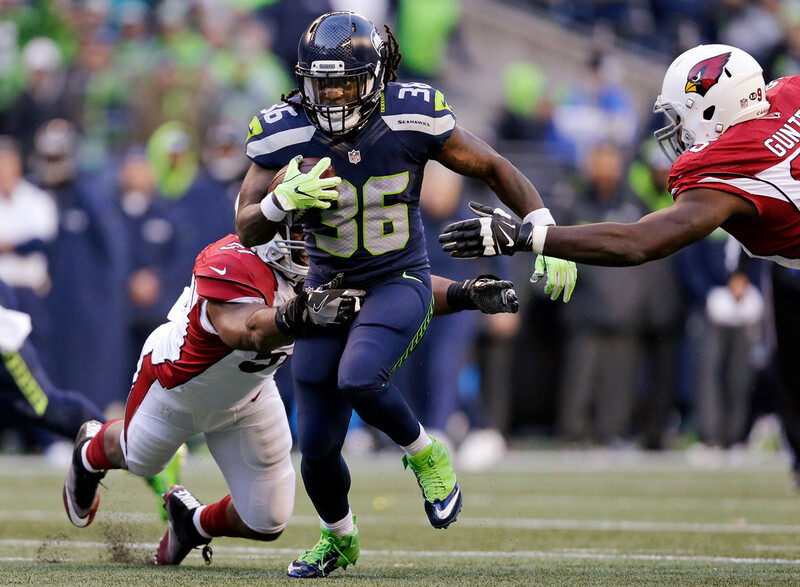 When Thomas Rawls left Sunday's loss to the Cardinals with a shoulder injury, Collins stepped in and absorbed 100 percent of the backfield opportunities. For those players whose championship stretches into Week 17, Collins should be the top priority add. If Rawls remains out, Collins will be the featured back in a plus matchup against the league's worst rushing defense -- the San Francisco 49ers. First off, what an awful afternoon for the Raiders and their fans with the news that Derek Carr suffered a broken fibula. However, a small silver lining for the team is that their offense is loaded with playmakers, particularly in the backfield. Both Washington and Richard found the end zone in Week 16, and they could be relied upon even more in the season finale as the Raiders look to make newly minted starting quarterback Matt McGloin's job as easy as possible. Their usage is impossible to predict as part of a three-headed committee, but both could be low-end flex options for Week 17. Doug Martin was a surprise healthy scratch in Week 16 which allowed Rodgers to lead the Bucs' backfield in playing time (62 percent) and total touches (17). With the Bucs now out of the playoffs, if Martin is injured it's entirely possible they shut him down for Week 17. And even if he's not, Rodgers' 4.5 yards per carry average in Week 16 was nearly a full yard higher than Martin's best average since returning from injury. Rodgers could simply hang onto this job outright, making him worth a look. If we throw out last week, where Thielen left early with an injury, he's crossed 100-receiving yards in each of his last two starts. Oh, actually, he crossed the 200-yard mark this past week against the Packers. While Thielen won't replicate that success in Week 17, he does have a plus matchup against the Bears on deck. If we once again throw out last week, Thielen has target totals of 15, five, nine and 11 in his last four games. He's a safe floor play with a solid ceiling, as well. Matt Barkley appears to be very good at two things: throwing interceptions, and feeding the ball to Meredith. The second-year pro has eight or more targets in four of his last five games, with 25 coming in his last two. In each of those games he caught nine passes for over 100 yards, finding the end zone this week against Washington, as well. The Bears won't be benching Barkley (they don't have another option), which means he'll continue to sling it Meredith's direction. He's a solid WR2 next week. While Nelson isn't a consistent player and continues to struggle with drops, he's been consistently good at scoring touchdowns recently. Which is really all that matters in fantasy. Nelson has hit pay dirt five times in the last four games, and could have had more (see: drops). The Cardinals play the Rams in Week 17, so, yeah. Nelson should have even more opportunities to score. I wouldn't expect Lee to throw a touchdown again next week, but he could catch another against the Colts. The Indianapolis secondary was carved up pretty well by the Raiders, and the Jaguars wide receivers should be able to find some space to roam. I mean, it's Week 17, so why not unleash the Albino Tiger in fantasy? This was the heat check game for Clay, and he drained it with an impressive 85-yard, two-touchdown performance. Clay now has four touchdowns in the last three games. Tight end is a mess, but not as big of a mess as the Jets are. Clay is worth a shot in case he keeps rolling next week against an opponent waiting to be rolled over. I'm writing this before the Texans-Bengals game is over, so I could look like a fool, but Savage is certainly on the streaming radar next week. The reason why? He's facing a Titans secondary that is bleeding yards, touchdowns and fantasy points to opposing passers. Blake Bortles just lit this defense up for over 300 yards. Those fantasy players whose quarterback might be riding the pine in Week 17 could look to Savage and hope for the best.